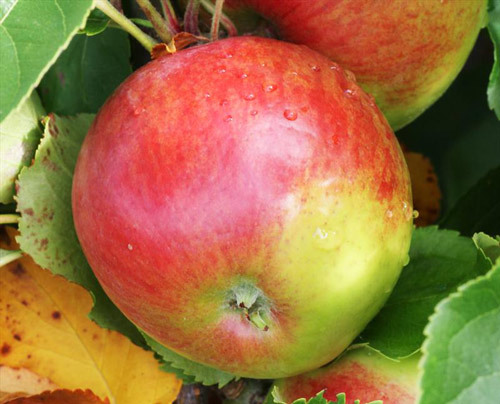 Burgundy is named after the color of its skin, which becomes a deep crimson red when fully ripe - quite an attractive apple. 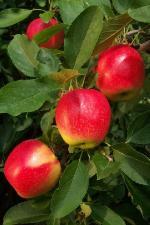 It is a mid-season variety, ripening in early - mid September. 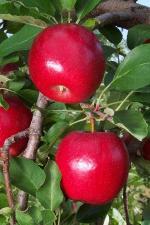 The flavor is very good, rather reminscent of Macoun, but like most mid-season varieties it does not keep. 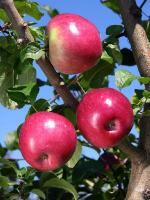 However the apples will hang on the tree for several weeks allowing picking over an extended period.